Company has been established in the year of global crisis and social unrests to save and protect lives of those at risk worldwide. They are dedicated to delivering superior stopping power against specific threats, and achieving the highest level of protection at the lowest possible weight. Their goals are bieng sucessfully achieved by using the most technologically advanced materials available at the market. 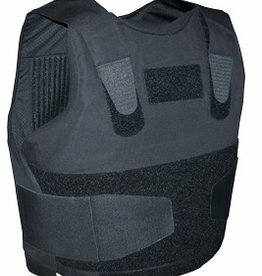 The company offers a full range of protective armor products from ultra-lightweight concealable bulletproof vests to maximum coverage and protection military body armor which have been tested under the most extreme modern combat conditions in both Iraq and Afghanistan. The manufacturing facilities and personnel have been employed from well-established local company that has the sufficient resources, experience, and skills to successfully perform all the tasks that have been set upon them. Their close supervision of manufacturing process ensures maximum quality of every single item they deliver. State-of-the art ballistic tunnel is hired to conduct thorough testing of the products in critical production stages, from prototyping to random sampling of finished products. No product is released to the market prior to having been put through rigorous field and lab testing. Official ballistic testing are conducted by Security Information Agency (BIA) - The Institute of Security in Belgrade, Serbia in accordance with NIJ 0101.04 ballistic standard. Their quality management system is ISO 9001:2008 certified. They are proud to say that they development team is able to respond to any requests their customers might have, and that the period of time needed to develop a new and a custom made product is very short. Finally - and most importantly - their people remain aware that everything they do has a direct effect on the lives of those in the frontlines all over the world. Safeguarding people’s lives is what their business is about and having that in mind they are with you all the way.